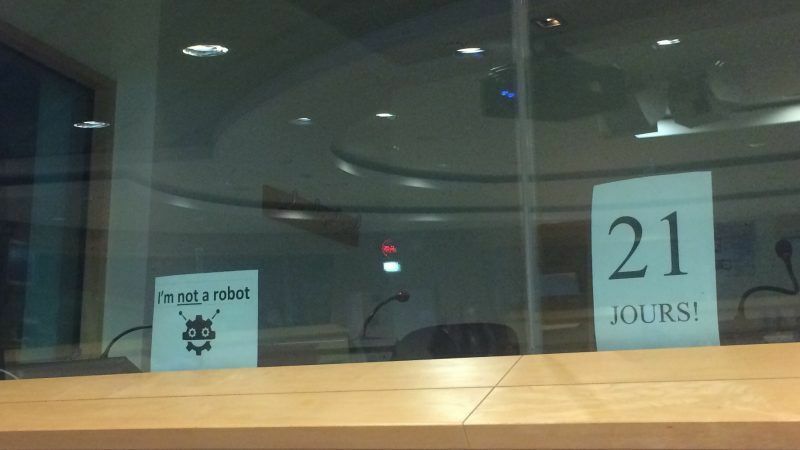 For the first time in 20 years, the Parliament’s interpreters are on strike. It is causing major problems in the institution given its use of 24 official languages. The strike has been wreaking havoc in the Parliament for 29 days now, as a result the EU Assembly has requisitioned the interpreters and threatened them with disciplinary sanctions. “Interpreters do not have much power as they are not allowed to go on strike. Every night we get a letter of requisition from HR,” said an interpreter at the Parliament, wishing to remain anonymous. During the plenary session on 3 July, a group of MEPs including José Bové (Greens), Isabelle Thomas and Edouard Martin (S&D), cut off their microphones to end interpretations, interrupting the debate as a sign of support for the interpreters. “We did not know, we were as surprised as the others, but we are pleased that this happened,” a source told AFP. “This is not normal […] this would have never been done if Ms Merkel or Mr Macron were here,” complained Commission boss Jean-Claude Juncker during the session. Antonio Tajani, the president of the EP, who was in the middle of congratulating Bulgaria’s prime minister at the time of the action added to Juncker’s comment by replying, in French, that “I completely agree with you, blocking the Parliament’s work is unacceptable”. He also condemned the MEPs for wanting “to play the role of trade unionists”. “This is up to the interpreters and the administration, it was not up to them [the MEPs] to intervene,” Tajani insisted. “Our power is fairly limited. It is good that MEPs took a stance, since they are politicians and this is a political issue. But the balance of power is so heavily in the EPP’s favour that socialist MEPs need to go even further,” warned the EP interpreter. The 300 officials and 1,800 external agents of the Parliament represent the largest interpretation service in the world. 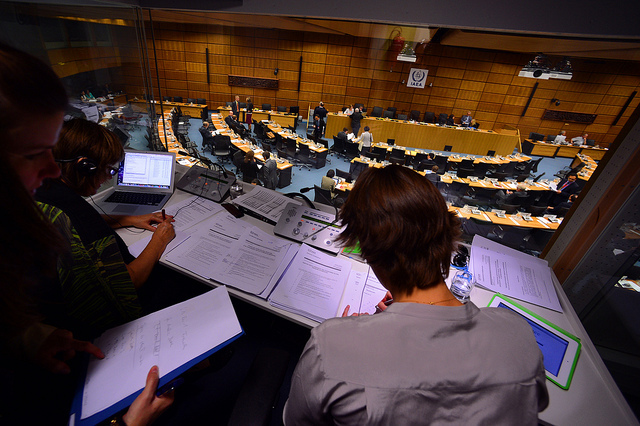 The interpreters, who work with 24 official languages and 552 language combinations, play a key role for MEPs to understand and communicate with each other. Their salary is fairly comfortable but it reflects the demands of the job. However, they are asking for better working conditions: they want to limit interpreting time to seven hours and thirty minutes per day, against the current eight hours in translation booths. “We are not asking for a salary increase, we are not asking for much if only for social dialogue to be respected,” said the interpreter, adding that working hours in other organisations are limited to six hours. Indeed, the job is stressful: interpreters must listen to what is being said, analyse the tone, the content of the message, speak at the same time by adapting the message in their mother tongue, while also listening to the rest of the speech. “In the past the debates were spontaneous but nowadays MEPs prepare their statements and read them out at high speed. The spoken nature of debates in the Parliament has practically disappeared,” said the interpreter. And the work does not stop there since interpreters also prepare technical meetings, researching and compiling specific vocabulary, meaning an eight-hour day can quickly turn into a 12-hour day. “Official languages have doubled and interpreters have risen to the challenge, but their numbers have shrunk by a quarter. Management imposes new rules: more hours and less rest between services,” stated the Union of International and European Civil Servants (SFIE). “The EU wants to be the champion of social rights, it adopts laws that require companies to respect the social dialogue, the rest period, the balance between private and professional life, but it does not respect them with its own workers, so what credibility does it give?” the interpreter concluded. Well how about the left and socialist MEPs showing some solidarity with the millions of jobs that are attacked by their irresponsible and utopian ideas – while they get thousands of Euros every month. The same goes for the interpreters. Welcome to the leftist EU. Please leave your benefits out of the room together with your salaries. Then you can complain.